There’s always some confusion as to what constitutes legal Colorado sports betting, as the state’s gambling laws – though reasonably detailed and comprehensive – are not as specific as many observers would like them to be. But the lack of details is what allows sports betting in Colorado be active. The state is home to a bustling casino industry and has several noteworthy professional sports teams, so residents’ interest in legal sports betting has only grown over the years. On this guide, we will tell you about what options bettors in Colorado have available to them. By reading this guide, you will be able to get a better understanding of legal Colorado sports betting and be able to make informed decisions about what you can or cannot do. 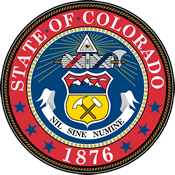 This page will also inform you about what laws are in place and what laws that can be created that could change sports betting in Colorado. By the end of reading this page, bettors in Colorado can make an informed decision on how to bet and be aware of the laws surrounding legal sports betting in Colorado. 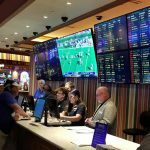 Is Land Based Sports Betting Legal In Colorado? As for now, there are no land-based options for sports betting in Colorado. The state is not currently allowed to open up sportsbooks within state borders. Until the state’s congress drafts up bills to change that, going online to an offshore sportsbook allows you to place bets on sports. Because there are no restrictions for states to fully legalize and regulate sports betting, many states in the United States are moving forward with making sports betting legal. It seems like only a matter of time before land-based sports betting becomes legal in Colorado. The short of it is simple – yes it is perfectly legal to make bets online in Colorado. Any laws in place in regards to online gambling are usually reserved for those who operate sportsbooks and not those making bets. It seems that the only real restriction is that if you are going to go online to gamble in Colorado, you have to be 21 instead of 18. If you just follow this one rule, you’re almost certainly going to be fine. And remember, all the best online sportsbooks are secure and discrete. You can even bet using Bitcoin and eliminate paper trails altogether if you are still concerned about any legal issues. Where To Bet On Sports In Colorado? Home to a large selection of both commercial and tribal casinos, Colorado has gambling options for almost everyone. 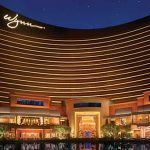 That wasn’t always the case, as the Limited Gaming Act set restrictive ceilings on things like how much money gamblers could wager, what games they could and couldn’t play, and even how long casinos could stay open each day. Colorado voters had enough and approved Amendment 50, which added craps and roulette to the menu, upped the maximum poker, blackjack, and slots wagers to $100 (previously $5), and let the facilities operate 24 hours a day. Commercial Colorado casinos are only permitted in the towns of Black Hawk, Central City, and Cripple Creek. The only thing you really can’t do in the state’s casinos is enjoying legal Colorado sports betting, but that could change in the future. Colorado also offers horse racing with pari-mutuel betting and out-of-state simulcasts. Colorado greyhound racing is legally outlawed. Colorado also operates a state lottery. Colorado has a number of professional sports teams you can bet on. The most popular team is the NFL’s Denver Broncos. On top of the Broncos, Denver has a large number of professional teams to call their own. The state even has a Major League Lacrosse team, although you’ll probably have a hard time finding any real sportsbook action on that. Bettors can usually rest assured that betting on a local team is a safe bet. But if you have doubts about the local teams in Colorado winning, you can bet on any team you want if you go to an online offshore sportsbook. There you are free to bet on whatever team you want across many different games. The Colorado horse racing betting circuit has had a tumultuous history, with most of its courses going out of business over the last several decades. Indeed, only Arapahoe Park in Aurora is still in business. The track offers onsite and off-site pari-mutuel betting as well as nationwide simulcasts. Although this is true, going out to the horse track and waiting in line to place bets can be tedious. The easier and recommended way to place bets on the races is to go online and find a reliable racebook. At a site like 5Dimes, you can place all different kinds of bets on the races and watch the races from your own home instead of having to go out. Daily fantasy sports, or DFS, was legalized in Colorado when Governor John Hickenlooper signed CO HB1404 into law. Supported by popular DFS operators DraftKings and FanDuel, the legislation provides users with various consumer protections and data security measures, prohibits fantasy gaming on collegiate and amateur athletics, and enforces a minimum user age of 18. Fantasy sports in Colorado has been going strong ever since, and it shows no signs of slowing down. As one of the first states to officially adopt DFS laws, Colorado provides a strong model of success and is helping to pave the way for more states to legalize daily fantasy sports. 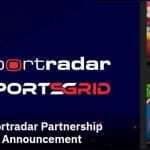 Thanks to this effort, players can go to FanDuel and DraftKings and take part in a large number of online competitions across different sports, like basketball and golf. Fans can also take part in private matches and keep the competition between friends. Can I Bet Real Money On Sports In Colorado? Yes. While there’s a question about legal Colorado sports betting, there’s no question whatsoever that real money is the preferred transaction type. Most online sportsbooks will take Visa, Mastercard, personal check, and Bitcoin at the very least, so you have options on how to move your bets and earnings. Even though bettors shouldn’t have to be concerned about anything, Bitcoin is probably your safest choice for keeping your tracks tidy. Yes, Bitcoin does bring with it another layer of risk, as its value rises and falls pretty dramatically day-to-day and week-to-week. But if you win some of the stuff and it happens to go up in value, that’s like winning twice! Is Online Sports Betting Safe In Colorado? You can rest easy in knowing that online sports betting is perfectly safe in Colorado. Using websites such as 5Dimes, BetOnline, Bovada, and SportsBetting is your safest option for legal sports betting in Colorado. They are industry leaders in online sports betting and they have the security to make sure your data is absolutely safe. They have not had a single security breach to date, so you can place bets knowing someone is going to get access to your data. Will Sports Betting In Colorado Ever Be Legal? Probably, but not right away. Between the state’s Limited Gaming Act and Amendment 50, there are several hurdles for Colorado to overcome. Still, it is certainly doable, and Colorado residents are clearly clamoring for more relaxed legal gambling guidelines. Whether or not legal Colorado sports betting would be limited to commercial or tribal casinos (or both) is certainly a good question. 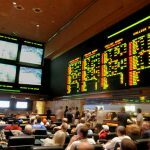 Once Colorado begins to draft bills that will make sports betting in Colorado regulated and legal, it will be much easier to understand what sports betting in the Centennial State will look in the future. Will I Get Arrested For Sports Betting In Colorado? To put your worries to rest, no you will not get arrested for sports betting in Colorado. If you use the online offshore websites we often recommend, there are no laws being broken so there is almost np chance of you getting arrested. 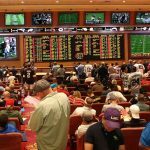 What Is the Sports Betting Age In Colorado? There is not a set minimum sports betting age in Colorado, so it’s advisable to go off the legal gambling age applied to the state’s casinos and poker rooms, which is 21. It’s true that you only have to be 18 to bet on horses or play the state lottery, but it’s better to err on the side of caution. Most sportsbooks have age limits of their own. Usually, these are set at 18 years old, but when a state has gambling laws that peg the average age at 21, it’s a really good idea to just go with that. And never, under any circumstances, lie about your age to sign up with an online sportsbook. If you violate their terms of service, they can withhold your winnings and even ban you from the site permanently. Are There Mobile Sports Betting Apps Available In Colorado? As a general rule, there are no real-money sportsbook apps in Apple’s App Store or on Google Play. The best option for mobile sports betting is using offshore online sportsbooks. BetOnline, SportsBetting, and other offshore websites all offer dedicated mobile sports betting apps. which are mobile versions of their main websites for on-the-go use. Just visit your favorite service on your smartphone or tablet browser, save the page to your home screen, and then treat it just like you would treat an app. It works! Where Is The Best Place To Bet On Sports In Colorado? Until there are bills drafted and passed into law, the best place to place bets on sports in Colorado is the internet. The internet provides you sites like Bovada for all your sports betting needs. Offshore sites like Bovada often have promotions going on as well that provide you the best bang for your buck. These sites are industry leaders and are a reliable way to place sports bets, even in states that do have land-based sportsbooks opened. Should I Use A Local Bookie In Colorado? While Colorado law might be a bit muddy on Internet-based sports betting, it is absolutely clear when it comes to using an illicit sportsbook. If you go through an illegally-operating bookie, there’s a good chance that he or she will run into trouble with the law. As long as you use offshore online sportsbooks, you are not violating any laws. Do Any Casinos In Colorado Have Sports Betting? There is no legal sports betting available in Colorado at any commercial or tribal casino in the state. So if you’re itching to put some money on local sports teams, you’ll have to get on the Internet and head over to one of the above online sportsbooks. Once you realize how easy it is, you’ll probably return regularly too. It may be a couple of years before in-state sportsbooks offer sports betting in Colorado, so it’s a good idea to find your favorite online bookmaker, set up an account, and study their layouts and systems. Chances are, you’ll be with them for a while. Can I Bet On Sports With My Friends In Colorado? First, you must have a “bonafide social relationship” with all other bettors involved. That means that they actually have to be your friend(s) in some capacity outside of the gambling context. The second criterion is that nobody can be involved directly or indirectly in so-called “professional gambling,” which just means that nobody can act as the house and take a rake off the total wagers. If your group meets these qualifications, you are free to gamble on whatever games, teams, or players you wish.